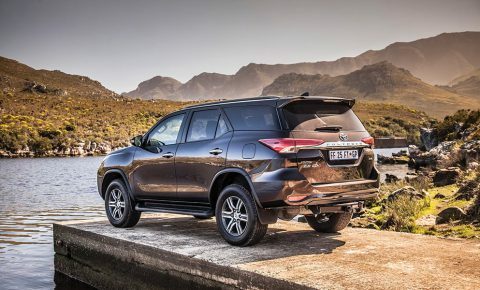 This journey with the Fortuner 2.8GD-6 4×4 started out one midweek morning in one of the northern suburbs of Cape Town, in much the way one might expect for a family with two school-going children. It ended back in suburbia much later that afternoon. But, it’s the bit sandwiched in the middle that we’d really like to share with you, the bit that turned a run-of-the-mill day into an enjoyable micro adventure. 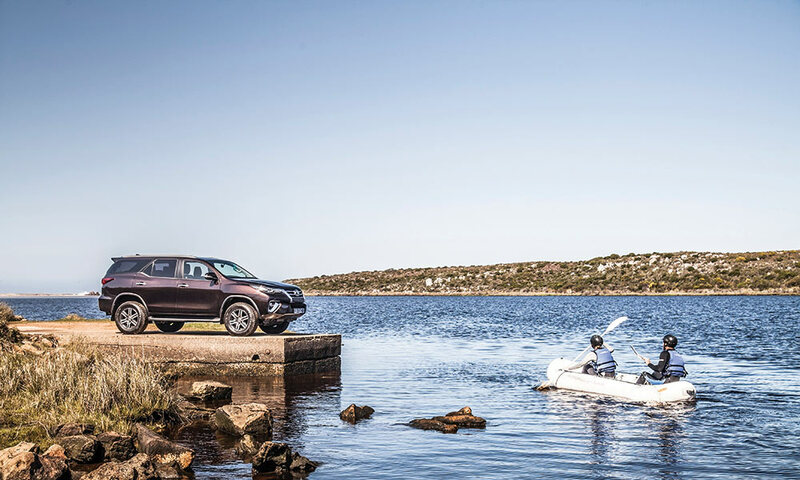 In the space of a few hours, the Toyota Fortuner catapulted me out of the humdrum of routine and into a vibrant, refreshing and adventurous experience. The luxury SUV dutifully and easily digested various scholarly items, such as backpacks,tog-bags and hockey sticks and my paraphernalia. Then it swallowed the children themselves (with one seated happily in a fold down seats in the rear). After a short commute, the 4×4 spewed them out at their various schools, so that we (the ‘Tuna and I) could get on with the fun bit. 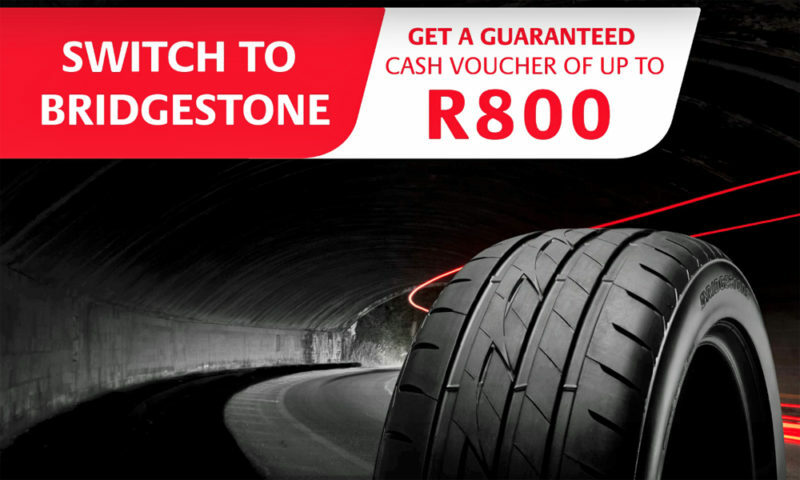 I headed for the R300 and then on to the N2 highway, cruising comfortably in the Eco (fuel-saving) mode. In this mode, the reduced torque is noticeable as I geared up manually, but the vehicle carries out the task of getting from A to B smoothly and comfortably. 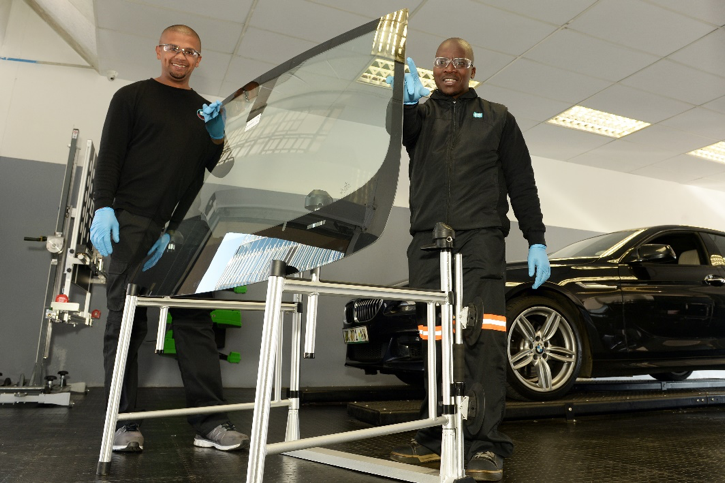 This function can be a positive feature, not only for the wallet, but for when you are pottering about in jam-packed parking areas, like at school drop-off zones. Later, I switched to Power Mode and noticed a marked difference, as the 2.8-litre engine’s 130kW and 450Nm of torque propelled the big vehicle up hills or to overtake others in a trice. After exiting the N2 towards Gordon’s Bay, the Fortuner and I embraced the curvaceous R44 that seems to keep the mountains from sliding into the sea. What a pleasure to be driving this comfortable machine, with its modern dash and very intuitive (read ‘easy to sync your phone to’) infotainment system. 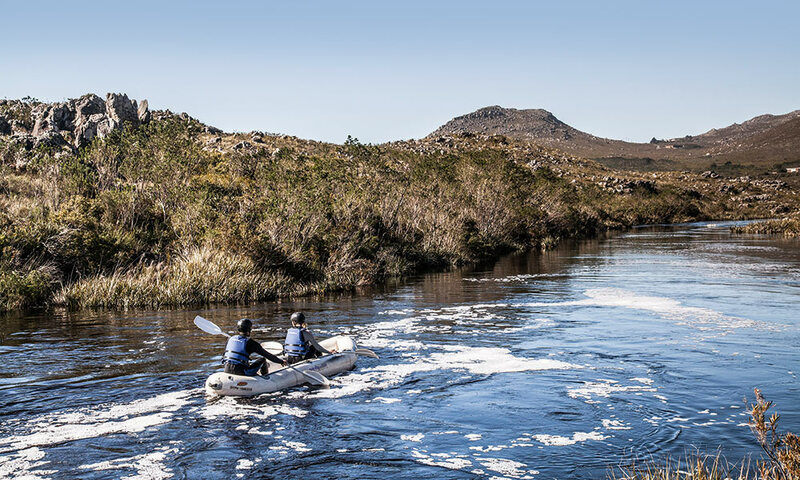 From the R44 I headed onto a gravel road and into the fynbos-tufted mountains of the Kogelberg Nature Reserve, to find the Palmiet River and do my first bit of river rafting. Here I met Nick Satchel and Etienne Pietersen from Gravity Adventures. Pioneers when it comes to navigating the Palmiet River, Gravity Adventures has been rocking (and rolling) on the river for over 15 years. The team is friendly and organised and most importantly, know the river intimately. 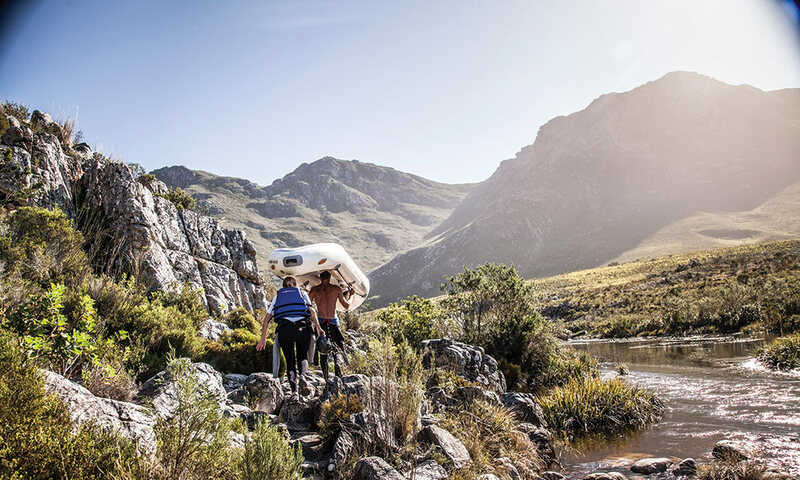 The two-person inflatable ‘crocodiles’ and all other equipment needed on the river are supplied by Gravity, but had we needed to pack these into the Fortuner, there would have been ample room. We kitted up and then headed towards the wet stuff. A path cutting through the riverine vegetation led us upstream to the launch site. I hopped in the front of the croc with Nick seated behind. 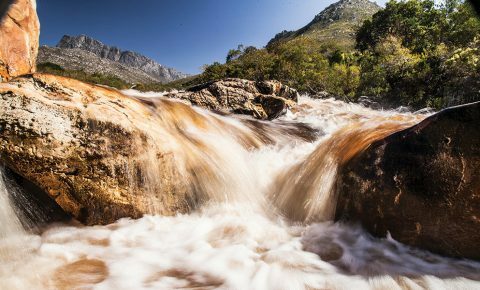 The Palmiet River Valley, encompassed by mountains, is really scenic and even if we were just going for a casual paddle on a languid river, the natural beauty would have made the experience worth it. However, Nick and the river – which flows at its peak during winter and spring – had a lot more in store for me. We paddled for a bit on gentle sections of water, as I got briefed on the burbling rapids ahead. And then the fun began. Over and down, between rocks and swirling currents, Nick navigated the croc expertly, while I tried my best not to hinder our progress. Refreshingly cool water splashed up into my face as we bounced along the river, causing me to laugh in delight. 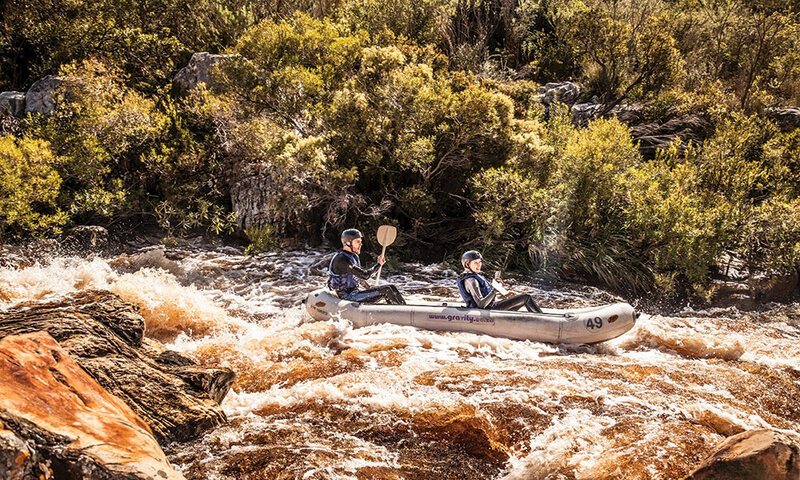 Each rapid has its own curious name such as ‘Guinevere’s Revenge’, with the most enjoyable rapids to run being ‘Bubble and Squeak’ and ‘Waterval’. On one section, the boat swung round 180 degrees and we started going down the rapids backwards. Fortunately, the crocs are designed to do this and with minimal effort, we managed to complete another 180 to face forward again. A thrilling ride on the river and then the last rapid seemed to come too soon. After the river had offered us the last of these natural theme park rides, we paddled under the R44 bridge and headed towards the Fortuner that was waiting for us on the slip. This made the transition from one fun mode of transport to another a cinch. After thanking Gravity Adventures for a fun-filled day, the Fortuner and I retraced our ‘steps’ and headed home on the open road. Adventure. We all need it. And with the combination of the Toyota and Gravity Adventures, I certainly had a good helping. 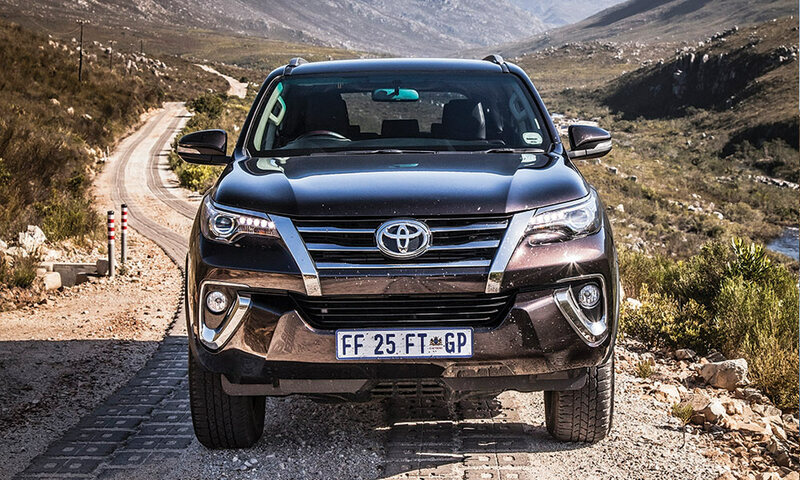 Fortuner 4×4: the real McCoy? The previous-generation Toyota Fortuner 4×4 featured a permanent four-wheel-drive system. In its default setting, a Torsen limited slip centre differential distributed the torque as required by grip levels. 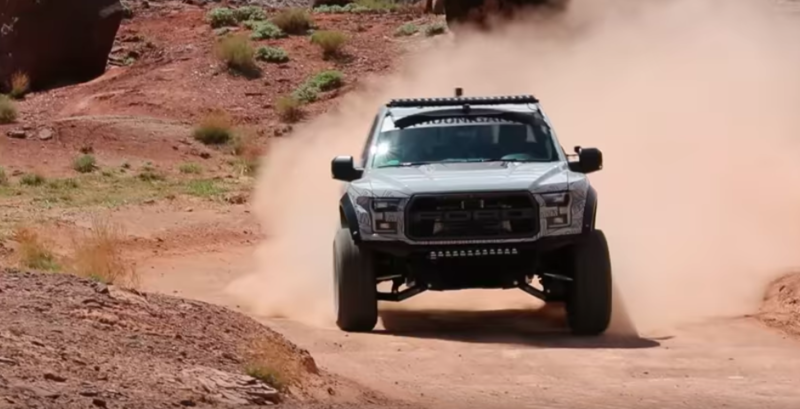 However, the centre differential could also be locked in a 50/50 split between the front and rear axles for more challenging terrain. And for those really tough 4×4 moments, 4LOW and a rear differential lock were also available. 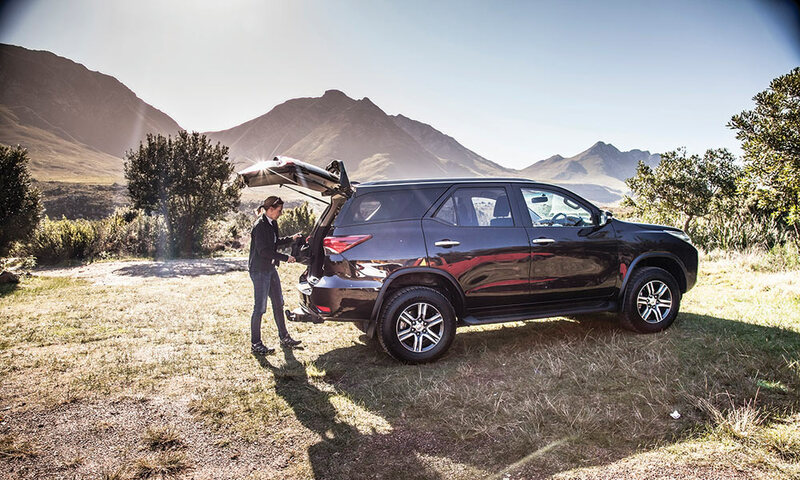 No wonder the Fortuner quickly earned a pretty solid 4×4 reputation, with many owners singing the praises of the popular SUV’s off-roading ability. Earlier this year the all-new Fortuner landed here – and in the 4×4 models there were some changes. 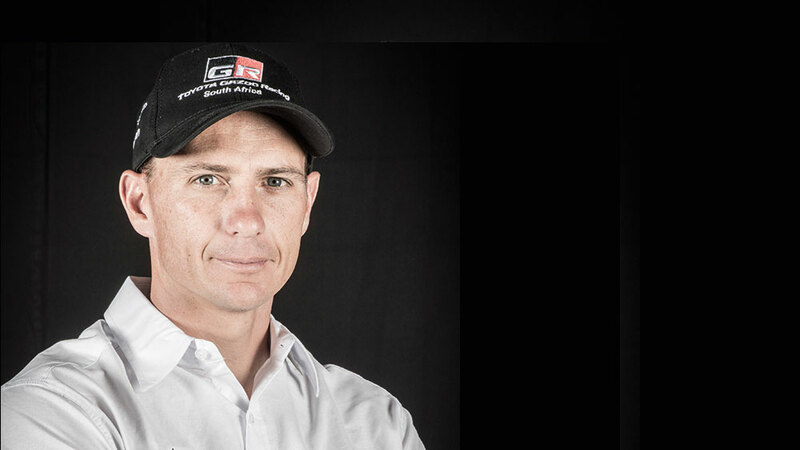 Most importantly, the ‘Tuna was no longer permanently four-wheel drive, instead sharing the Hilux bakkie’s part-time 4WD system. In theory, this may seem like a downgrade, but in practice, it has proven not to be the case. 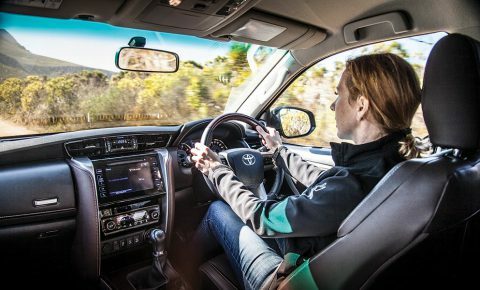 With an improved base to start with, and with the latest traction and stability control systems in place, any driver would do well to notice the absence of a permanent 4WD set-up – so smooth and composed is it to drive. 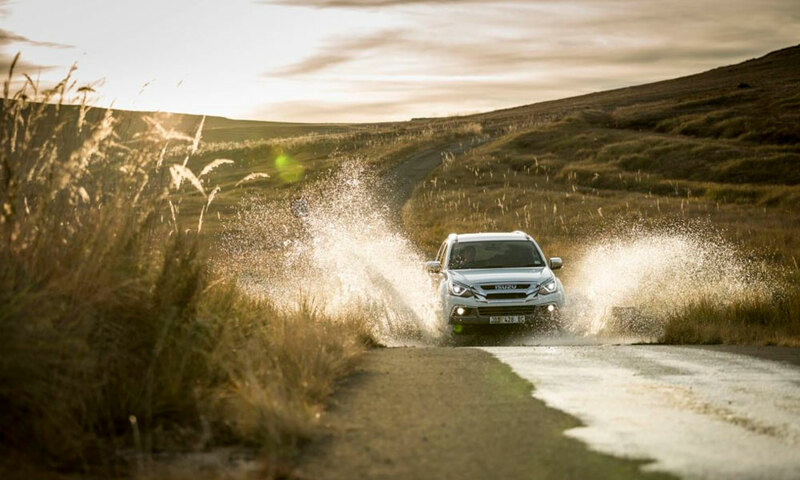 The new Fortuner 4×4 remains highly capable off the beaten track, too. A dashboard-mounted dial offers a selection between 2H, 4H (50/50 lock between front and rear axles) and 4LOW. A rear differential lock is also standard. Claimed ground clearance is 279mm, the approach angle is 29 degrees and the departure angle 25 degrees. So even though it is not a permanent 4×4 anymore, when the going gets rough and tough, the latest Fortuner 4×4 still has the go to match the 4×4 show. And then some.